There no denying that technology has transformed our way of living and become part of our daily activities more than ever. It is quite a challenge for startup entrepreneurs to establish and successfully run their business and meet the targets of growth in the stiff competitive environment. And above all, still muster strength to meet personal commitments as well. The key here is their motivation, but how do they use this motivation to be organized and be creative? Self discipline could be greatest boon to those looking for breakthrough in life. And that should start with every fresh morning. Rising early in the morning with a fresh mind, followed by exercise and sumptuous healthy breakfast and taking breaks in between work is likely to set the tune for productive work schedule. This will not just boost energy level but also enhance concentration, resulting in better productivity. 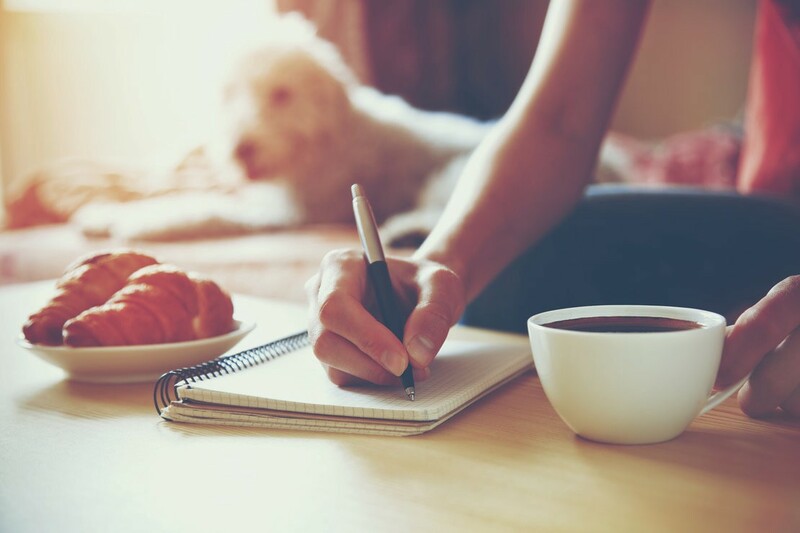 Below is a list of six basic morning rules and helpful Apps to set your life going. At first sound of morning alarm your hand swiftly moves to hit the snooze button. However, if you want to bring some positive changes in yourself, you’ve to give up that snoozing habit and become a morning person. Take no time to wake up early morning, to gather some time and thought at the start of the day. This you can easily do if you decide to keep your phone alarm away from the bed, so that you need to drag yourself out of bed even to snooze it. The app: Apps that will help you to shed morning blues is Apps like Math Alarm Clock and I Can’t Wake Up! Alarm Clock . The math problem solving is one of the best ways to wake up your brain in the morning. Apps like Math Alarm Clock and I Can’t Wake Up! Alarm Clock will make you solve simple math problem before the alarm sound goes off. This will certainly kick start your day. Once you are awake and free from morning chores, spare some time for physical and mental exercise. Scientific research has proved that 20 minutes of morning exercise can increase the blood flow into your brain, which will refresh and revitalize your brain. Exercise will also keep your body fit and your energy levels high to deliver better performance. Morning workout will enhance your creativity and productivity. The app: Apps like FitStar and Pocket Yoga will help you jumpstart your day and track your workout performance. A healthy breakfast in the morning sets up your metabolism and you end up making healthy choices throughout the day. Never skip breakfast . Opt for healthy menu to keep you body light, energetic and full. A dose of oatmeal, eggs with whole grain bread or simply fruit-yoghurt combo is enough to make a healthy start of your day. The app: You can choose among many meal-planning apps, which suits your appetite and taste buds. The Healthy Breakfast Recipes and Breakfast Recipe Cookbook are few of meal planning apps which you can rely on. Music gives soul to the universe, wings to the mind and flight to the imagination. Music heals and it also inspire, so make some time to listen to music. If you begin your day with music, you can feel the energy and positive mood it leaves you with throughout the day. Set your playlist and begin your day by listening to your favorite songs. The app: Using Spotify is one of the best ways to listen your favourite music and to access variety of playlist with all of your favourite songs in it. Morning sets the day, so if you get up early, you will have enough time and ideas to plan your day. Planning your daily task will help you organize better. This in turn will help you cope the challenges of the day better. before you step out for work, make sure your day’s plan is set.. The app: Some of the most popular planner apps like Wunderlist or Todoist will be helpful in planning your day. If you get the opportunity to walk or bike to work, don’t miss it.This is great way to give momentum to your body but also give some time to look at the world around. You get ideas and will improve your mood. The app: If you are to walk or bike to work, you are more likely to need to know what the weather will be in the morning and in the evening so you can plan the best way to get to and from the office. AccuWeather is a great app to help you track the weather and to make you prepared. Get your minute-by-minute weather forecast and be ready to jumpstart your day.